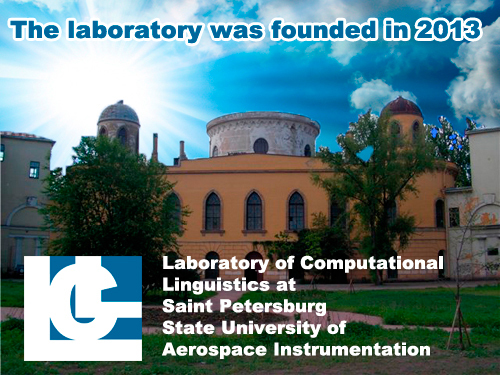 Laboratory of Computational and Formal Linguistics at Saint-Petersburg State University of Aerospace Instrumentation is involved in research and teaching in diverse areas of computational linguistics and natural language processing. Our primary interests are machine translation and research in machine learning. The laboratory was founded in 2013.